Here’s a really neat idea from the folks at Pimsleur Language Programs. As just about everyone knows by now, the Philippines was devastated by Typhoon Haiyan two weeks ago. As I mentioned in my last post, what tends to happen is that the news media will focus a lot of attention on the suffering for a short period of time, but after they’ve gotten what they need out of the disaster they’ll go to something else. In the meantime, those who are suffering are suffering no less because they’re not on TV anymore. But even as the public starts to forget, there are some amazing charities and aid agencies that have hundreds of volunteers who are going to the Philippines to help. 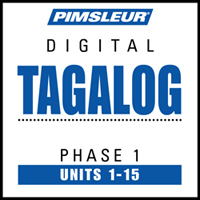 From now until the end of the year, Pimsleur is offering 15 introductory lessons, or about 7.5 hours of lessons of Tagalog (pronounced tuh-GUH-logh) for free. Tagalog is the most widely-spoken language out of 170 languages spoken in the Philippines. Given that 30 lessons normally cost $120, this is at least a $60 value. Pimsleur did a similar thing with Japanese and Haitian Creole in 2010 and 2011 when disasters struck those countries. If you know a volunteer organization, or individual volunteer who’s going to help out in the Philippines, this would be a great resource for them, even on the plane ride out. While they won’t be fluent in the language, it’ll help them learn the basics.